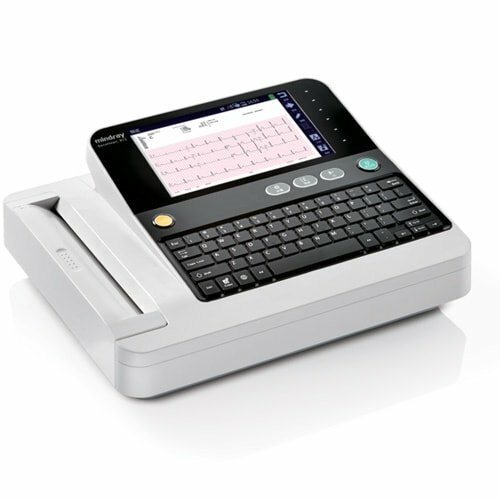 The Mindray BeneHeart R12 is a 12-lead resting ECG with an 8 inch colour TFT display, characterised by its user-friendly operator interface. 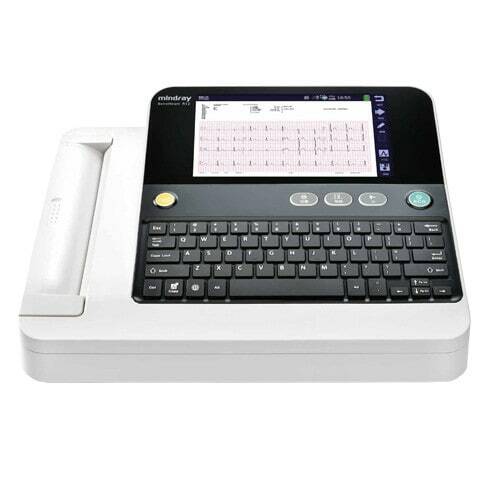 The ECG print-out can be printed using the integrated thermal printer, but it is also possible to export the data to a PC or directly to an external printer. The BeneHeart R12 is provided with various USB connections for this purpose. The Mindray BeneHeart R12 is equipped with the world-renowned Glasgow 12-lead analysis system that evaluates the ECG data according to age, gender and ethnic background. In the case of critical values, one of the six warning signals enables treatment to be quickly implemented. 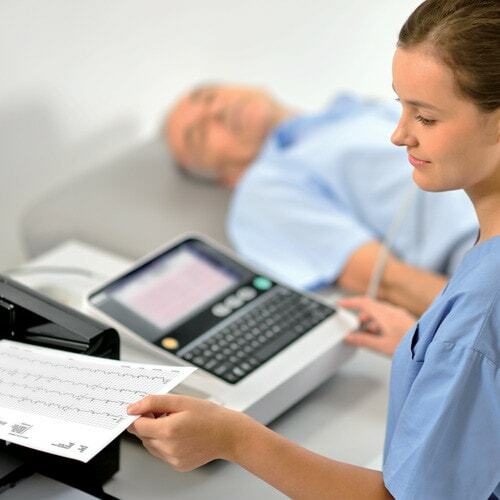 If necessary, the ECG can log without entering all the patient data beforehand. This enables an automated new analysis which is always carried out when relevant patient data (e.g. gender or age) are changed or entered for the first time.